Why are modern women so anxious? I had an interesting discussion with my supervisor at work last year around Christmas time. I asked her if she had gotten all her shopping done and she said yes, she had, because she does it all online due to the fact that malls and large stores cause her to have terrible panic attacks. She wasn’t joking, either, or using hyperbole; apparently it was bad enough to cause her to skip holiday shopping altogether and do all of it online. I was interested in what she had to say because I too sometimes have really bad anxiety symptoms in large stores. It started when I was in my mid-thirties, and while I wouldn’t call them full blown panic attacks, the symptoms can be intense enough to be very physically uncomfortable. The sensation is one of panic, like I need to drop everything and run, along with a racing heart and that clenchy feeling in my stomach. Mine are not nearly as bad as my supervisor’s, and I can get through whatever shopping needs to be done by praying for God to flood me with peace and by repeating phrases to myself like It is okay. I am okay. My family is fine. I can get my groceries and then I can leave. God is with me. Also paying close attention to my breathing, keeping it even and deep, helps. So a couple of things I’ve noticed is that it isn’t really the crowds that are the problem; I can go to church without panicking, for example, although sometimes large concerts and sporting events make me tense until we are in our seats. Another aspect is that it seems to be exacerbated during the school year when I’m working and abates somewhat (but not completely) when I’m home in the summer. About five years ago, I was at a birthday party for the daughter of a friend from church, and all the moms got to talking as moms will about how stressed out they are. One woman who had recently completed her PhD and had her third child was talking about the constant sensation of anxiety she lives with and how she’s tired of being told to go to therapy. “The last thing I need is another thing on the calendar,” she’d said. “I just want them to give me drugs.” Most of the other working mothers there nodded in agreement. I sort of sympathized with what they meant although I don’t have any desire to use psychiatric medications. But “talking it out” with a therapist, which is what doctors always seem to want you to do if you talk to them about anxiety, just wouldn’t be helpful because there really is no it to talk out. There’s no big trauma, there’s just regular old day-to-day life. Therapy just isn’t the answer for that. Women are 60% more likely than men to suffer from anxiety at some point in their lives. What’s causing all this anxiety among women starting around their mid-thirties? I read an interesting interview with a researcher from Harvard Medical School about the hypothesized role hormones play in anxiety. His initial studies apparently indicated that lower levels of estrogen, such as women experience later in life or directly after giving birth, were correlated with much higher levels of anxiety. Interestingly, his team also found that women on birth control pills show the same symptoms. Although men have lower levels of estrogen than women, the presence of testosterone was hypothesized to be playing a protective role for them. Maybe it does come down to hormones, but I’m not completely convinced. I think some of it is a normal response mechanism built in to us that is trying to tell us something. After all, I don’t have panic attacks when I’m pulling weeds in the garden. I don’t have them when I’m cooking dinner. And I don’t have them when I’m curled up on the couch next to my husband. I have them when I’m stressed at work and when I’m trying to navigate busy, crowded, bright, noisy places like stores, just like my supervisor. So I wonder if some of this is that we are expecting our bodies and brains to do something that they simply weren’t designed to do. Upcycling silverware for other uses and making a pallet bench. Also: cute goats! Sorry it’s a bit quiet around here; summer is drawing to an end, various school activities have started back up for the children, I’m preparing for the new year at work, and various chores and projects around here require a lot of time. The animal barns are always my favorite part of the fair, but my husband has a much more practical and cool-headed approach to life and thus would not budge on impulse goat purchases, no matter how cute they were. We do have a small outbuilding where they could live, but nothing is fenced in and we have no equipment, so it was pretty sensible of him to hold the line at No! despite all the begging females surrounding him. Anyway, since I don’t have time to write much of a post at present, I thought I’d include a couple of frugal-living upcycling tips. Works great and was totally free! He used the bottom support boards for the legs, and the frame pieces form the front and back of the bench. Then he cut the thin boards to size and used them to form the seat and sides of the bench. He sanded down the rough boards and sharp edges and sealed it with some linseed oil he had in his workshop and voila – a totally free bench! 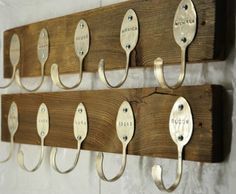 Our goal is to salvage, reuse, and upcycle as much as possible to meet our needs and wants. It’s not only a good creative outlet, but it also saves us money that can be put to better use (like fencing off a goat enclosure, for instance 🙂 ), plus it keeps us out of the consumerist mind set. Enjoy these last few days of summer, everyone! Tree felling and a close call with the wood chipper. We don’t know the exact history of the land our house is on; previous to our house being built on it in 2005, the land was field and woods, but it seems like very long ago it used to be an apple orchard. As I walk through the woods, I find a lot of apple trees that are clearly very old, overgrown, and no longer bearing fruit. There are also several of these old apple trees near the house, and they are all in bad shape, blighted and overgrown. Continue to improve his tree-felling skills. He has cut down several small to medium trees on our property and is learning how to fell them where he wants them and then cut them into logs for use as firewood or in the hugelkultur garden beds I’m working on for next summer. Plan: cut down old, blighted apple trees. Cut down larger dead (probably ash) trees. Acquire chainsaw chaps for safety. Inventory and sharpen our axes and hatchets and practice cutting down small trees manually with an axe. Yesterday evening he decided to take down two of those old, overgrown apple trees. First, he determined the felling direction and made sure the path was clear. The first tree was within a foot or so of where he wanted it to fall, and the second tree fell perfectly in line with where he wanted it. Because this wasn’t a huge tree, he was able to stand behind it and safely apply some pressure to push it toward the direction he wanted it to fall. According to the lumberjack in the above link, with larger trees you can’t safely do this because they can “kick” back, and knock you down as they fall. Years ago when we were helping my brother-in-law clear some trees on a newly purchased piece of land upon which he and his wife were building a house, I foolishly stood behind a tree that had just been cut and was about to fall. As it fell, it landed in the fork of another tree, causing the trunk to kick up, and then the entire thing slid backward as if going down a slide. It hit me square in the chest and knocked me flat. That could have been a potentially deadly scenario because you can get pinned to the ground by the sliding trunk, though I lucked out and was not pinned. After felling the tree, he quickly de-limbed it and worked on cutting the trunk into logs and hauling them to our wood pile. I worked on this task diligently until a friend dropped by to pick up her kids, who had been staying with us. I turned off the chipper, set my gloves and hearing protection on it, and went to chat with her for a bit. After she left, I decided to go inside and finish dinner preparations. That bit of rubber tube had its protective coating burned off and was close to being burned through. Do you know what that bit of rubber tube is for? I’ll let you guess in the comment section. So anyway, today I am glad that the good Lord above was watching out for us and prevented a serious and potentially deadly accident. And I’ve learned a lesson about being careful about where I set things down! Storing home canned food: metal rings off or on? Home canning requires jars, lids, and rings (metal screw bands). You place the food in the jar, position the metal lid on with the gasket side down, screw on the ring, and then process your jars. After you remove the jars from the canner, some of the lids will already have formed a vacuum seal and others will make a popping sound as the vacuum forms a few minutes later as they cool down. You then leave them alone for 12-24 hours, at which point they are ready to store. So the burning question is: do you store the jars with the rings off or on or does it even matter? My mother stored them both ways, as I often have, too. I always thought this was because most people end up with more jars and lids than rings (jars initially come with lids and rings if you buy them new; after that you just buy replacement lids, unless you buy the jars used, in which case they will usually come with no lids or rings). Remove the rings. If the rings stay on and the lid fails (becomes unsealed) while the ring is on, the lid may reseal itself. However, bacteria has already invaded the jar and the food should not be eaten; with the ring left on there is no way you will know about the resealing. If the rings are off the lid has no pressure to reseal itself so if the lid seal fails then you’ll know and you can throw that jar out. I thought about that for awhile, and I wondered if a lid could really re-form a vacuum seal just from the pressure of a ring. I looked on the websites of the major manufacturers, but I couldn’t find any specific recommendations about this. Do not taste food from a jar with an unsealed lid or food that shows signs of spoilage. You can more easily detect some types of spoilage in jars stored without screw bands. Thank you for contacting us- hopefully we can help set the record straight regarding our suggested methods of storing your jars. Although many of our consumers do choose to store their jars with the bands on, we don’t recommend doing so for two reasons. The first relates to the mechanism of the two-piece lid. The two-piece lid, initially marketed by the Kerr brand in 1915, is recommended for use due to the ease of determining seal quality. When spoilage occurs, gas builds up in the jar- the resulting pressure will cause the lid to come unsealed or pop. Since the lid seals via an integrated gasket on the rim of the jar and the band grips the jar from a position below the rim, leaving the band on can indeed hold the lid to the jar when it shouldn’t be and make it appear sealed although spoilage has occurred. 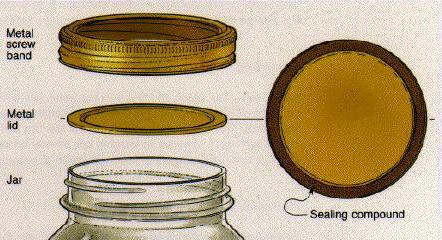 Earlier one-piece lids sealed on the bead or the shoulder of the jar –below the threads and rim- and thus couldn’t indicate a comprimised seal. The second reason we don’t recommend storing your jars with the bands on is that it can, in some cases, impact the lifespan of your bands. Moisture that may be caught between the band and jar can cause the bands to corrode prematurely. We hope this information helps! Please let us know if you need clarification. So there you have it: store your jars with the rings off so that if the lid seal fails, you’ll know it right away. But if you store them with the rings on, when you take the ring off, just check that the lid is still vacuum-sealed onto the jar; if it is, then the seal has not failed because it cannot reform once it fails (but still check the contents of any jar with a visual inspection and a sniff whenever you open a new one). If you’re lost and wrecked again. 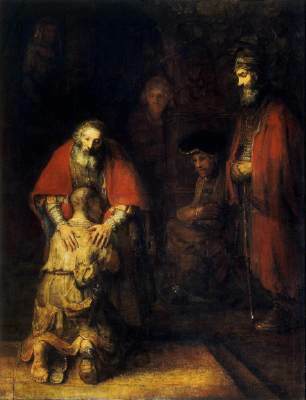 Rembrandt’s famous painting of the Prodigal Son illustrates the joy of returning to God and finding that He truly is faithful to forgive our sins – yet again. The story of the prodigal son seems to be directed not at the first-time repenter who is turning to Christ for initial forgiveness, but rather toward we who, though already in the Father’s house, are still “prone to wander…prone to leave the God I love,” as the old hymn goes. It speaks to those who already know the Father but have walked away from Him – again – for a time. And this is all of us who are Christians; we all rebel and sin, but the story of the Prodigal Son gives us to know that no matter how far we have wandered, the Father will still be merciful when we return to Him. It is so hard in that moment to see that we are free to stand up and leave the pigsty; we really believe the illusion that we are chained there, but as the painting depicts, nothing is truly holding us back, other than a deep sense of shame at having walked away from the Father and having disappointed our family. It is with hesitation and fear of rejection, as I know full well and perhaps you do too, that the prodigal approaches the Father again, head bowed with shame and regret, but how indescribable is the joyful relief when we find that He is actually celebrating our return! Those who are still in the Father’s house when the prodigals – who we all will be at some point or another – return need to accept them with joy, not with bitterness and unforgiveness. Hallelujah, what was lost is now found again! This may be particularly hard if the prodigal son’s actions affected you personally, as they did the older brother in the story, but the Father tells us to forgive and come celebrate anyway. The World, of course, cannot understand this kind of forgiveness and will mock us, but that is because Satan, the god of this World, always condemns, whereas Christ always forgives. When you are yet in the Father’s house, you will need to decide whether you will be the bride of Christ or of Satan and then follow your spiritual husband’s lead. To those who are in the pigsty – come home! To those who are home – run out to greet them with joy and celebration! I didn’t plan to grow any horehound in my herb garden, but the nice lady at the Dexter Mill offered me a leggy horehound plant for a dollar, along with a bunch of free vegetable plants that were in bad need of a good home. I remember eating horehound candy sticks as a child but you don’t see those around much anymore. I don’t remember thinking they were too tasty, which is probably why you don’t see them now. But it turns out that horehound makes very nice cough drops, and today I made my first batch of them. Horehound contains a number of constituents, including alkaloids, flavonoids, diterpenes (e.g., marrubiin), and trace amount of volatile oils. The major active constituent in horehound is marrubiin, which is thought to be responsible for the expectorant (promotion of coughing up of mucus) action of the herb. In addition, marrubiin contributes to the bitter taste of horehound, an action that increases the flow of saliva and gastric juice, thereby stimulating the appetite. These actions likely explain the long-standing use of horehound as a cough suppressant and expectorant as well as a bitter digestive tonic. Put 1 ½ cups of fresh, rinsed horehound leaves in a small nonreactive saucepan and add water. Bring to a hard boil and then turn off heat, allowing the leaves to steep for 20 minutes. Pour through a strainer to remove leaves, then return liquid to pan. I was amazed at how strong the vapors were; my lungs felt like I was breathing Vick’s Vapo-Rub. Add 2 cups sugar and 2 tablespoons honey and return to a boil, stirring occasionally with a wooden spoon. Boil to the hard-crack stage (300-310 degrees F), using a candy thermometer if you have one. If you don’t have one, use the cold water method: once the sugar syrup is forming strands when you drip it off your spoon, add a drop to a cup of cold water and then crunch it with your teeth. If it’s still sticky instead of crunchy, it’s not ready (for more on the temperatures associated with different stages for making candy, see The Science of Cooking website). Pour the syrup into a buttered pan. If you have candy molds like these, you can use them instead. I also read about a trick I want to try next time in which you put a thick layer of powdered sugar into a pie plate, tamp it down with your hands, and then use the bottom of a food coloring bottle to make indentations, forming a powder sugar mold. After I poured my sugar syrup into the buttered pan, I let it cool a little and then quickly formed it into cough drop shaped balls by hand. Careful – the mixture is still pretty hot. You have to work quickly because once it cools a bit more, the candy hardens and you can’t shape it. You could also just leave it in the pan and cut or break it like you do with peanut brittle, but it won’t be in a pleasing lozenge shape then. Finally, dust cough drops with fine granulated sugar if you have it; I didn’t have any, so I used powdered sugar. I stored my cough drops in a glass jar. Put horehound leaves in a small nonreactive saucepan and add water. Bring to a hard boil and then turn off heat, allowing the leaves to steep for 20 minutes. Pour through a strainer to remove leaves and return liquid to pan. Add sugar and honey and return to a boil, stirring occasionally with a wooden spoon. Boil to the hard-crack stage (300-310 degrees F) using a candy thermometer if you have one. If you don’t have one, use the cold water method: once the sugar syrup is forming strands when you drip it off your spoon, add a drop to a cup of cold water and then crunch it with your teeth. If it’s still sticky instead of crunchy, it’s not ready. Pour the syrup into a buttered pan or candy molds. Dust cough drops with fine granulated or powdered sugar and store in a glass jar.